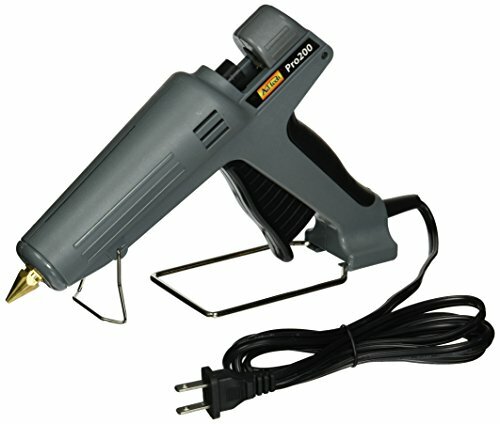 The AdTech Pro 200® is an Industrial-Grade Glue Gun with an output of 3.5 lbs of glue per hour. It’s perfect for light-industrial, commercial and DIY applications. It has an operating temperature of 410°F/210°C and a 200 Watt PTC heating system. The Pro 200 is designed and engineered in the USA, and built to last. The AdTech Pro 200® features a 200 Watt PTC Heating System with a quick 3-minute warm up time, a comfortable 4-finger trigger, a sturdy base stand, and a high-quality shell. If you have any questions about this product by Adhesive Technologies, contact us by completing and submitting the form below. If you are looking for a specif part number, please include it with your message.